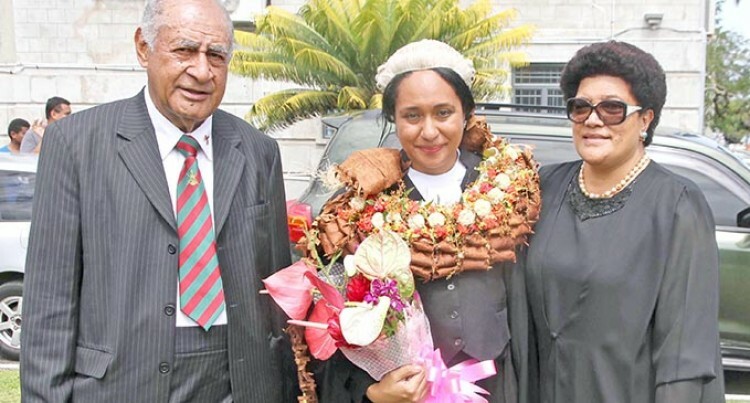 Newly sworn-in lawyer, Adi Litia Cakobau Nailatikau, hopes to pursue further studies in environmental law. Speaking to Fiji Sun yesterday, Adi Litia expressed utmost gratitude to her parents and brother for their unwavering support. She is the daughter of the former President, Ratu Epeli Nailatikau, and Adi Koila Mara Nailatikau. “I am very overwhelmed and very grateful especially to my parents and my brother, and also my class that I have just graduated,” she said. “I would not be here without my family’s support. Adi Litia also made special mention of former Magistrate Alofa Seruvatu who moved her application in Court for admission to the bar.